Buckeye Surgeon: Twitter! It's so Cool!!!! 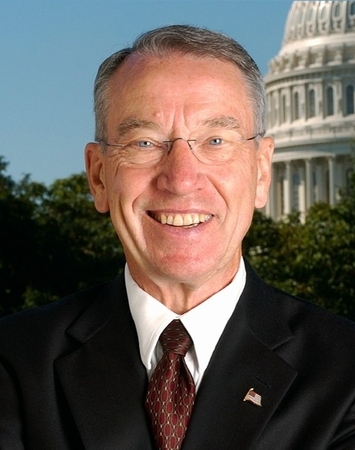 I feel a little sorry for Grassley. I'm impressed he's into the young-ish make-your-own-language-shorten-your-words world of text messaging. I'm always thinking his generation should try some of the new things. I also think it's a good thing when people say what they really think and not hide behind the spinmeisters, so he gets extra points for at least being honest. But those were pretty sloppy. Yes, this most definitely lends credibility to the party...Wow. He's one step above Barney Frank. Both parties are absolutely worthless. Pelosi, Grassley, Frank, Geithner, Bernacke, and Summers, are all worthless. All senators should be limited to 2 terms and the FED needs to be abolished. I'm tired of hearing them talk. We're paying for senators to twitter. Rationing? Or intelligent use of resources?